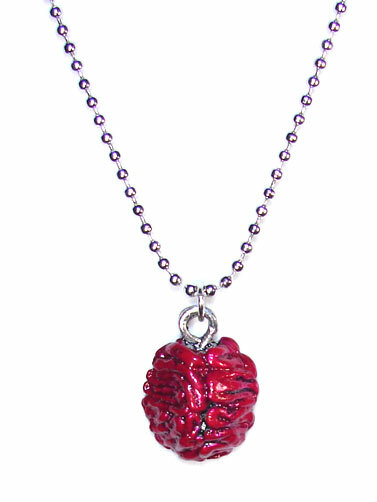 Carry a little extra brain power and be prepared for a zombie attack with this Bloody Brain necklace. Lead free enameled brain pendant measures 15mm x 15mm. Bloody Design on one side, con-caved open back. Steel ball chain measures 24"L and can easily be cut for a shorter length.